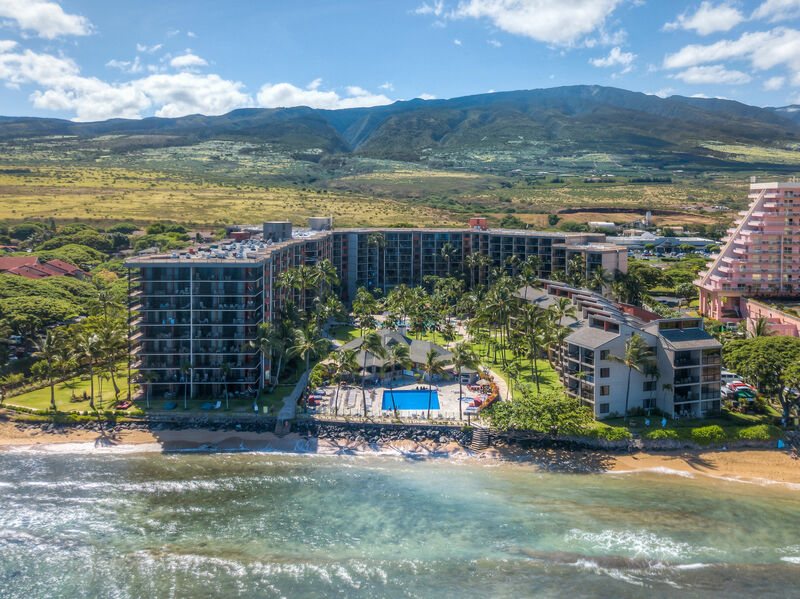 Enjoy a stunning ocean view across the blue Pacific to Molokai and all along the Maui coastline to Kapalua and the West Maui Mountains. 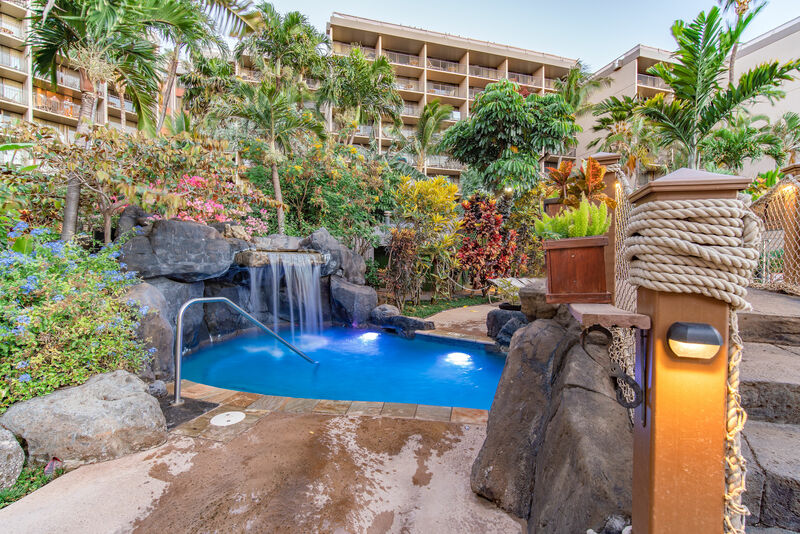 Your new lanai is the perfect spot for morning coffee and whale watching. But if you would prefer the view from the bed, you can do that too. 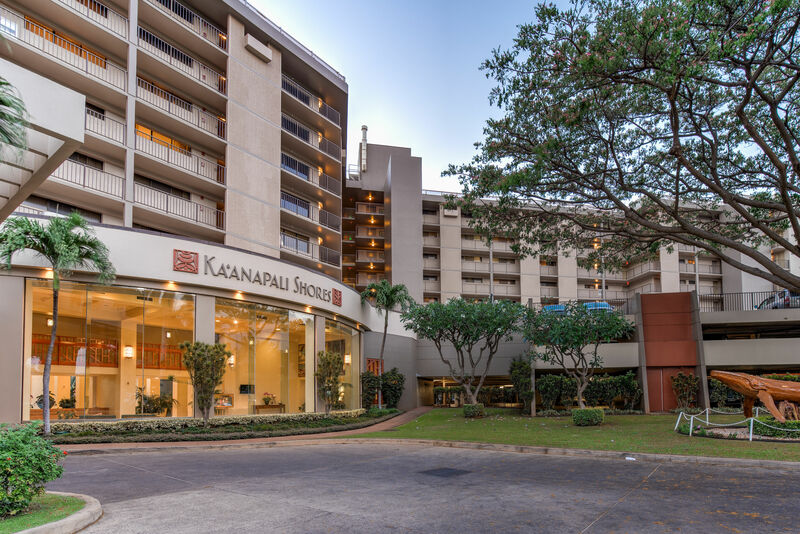 The location of this great Kaanapali Shores studio offers the luxury of ocean views from multiple locations. This unit will sleep four with its high end sofa sleeper. In fact, this studio really lives more like a one bedroom unit with an oceanfront bedroom. It has a full kitchen with a full size stove, oven and dishwasher. The cabinetry is all solid wood topped with high quality granite. Your cook even gets to enjoy the ocean view from this nicely finished kitchen. The dressing area and bathroom also feature high quality finishes. The dressing area is a generous space with a large well lighted dressing mirror over a granite counter top and a solid wood vanity. The bathroom has a custom finished tile tub and shower enclosure. The unit is in top quality condition and even has NEW sliding glass doors and screens. It also has a beautiful island style ceiling fan, which most units do not have. Your guest will love that the unit has center A/C, and you'll love that the electricity and other utilities are all included in your association fees to help keep your operating cost steady and low. 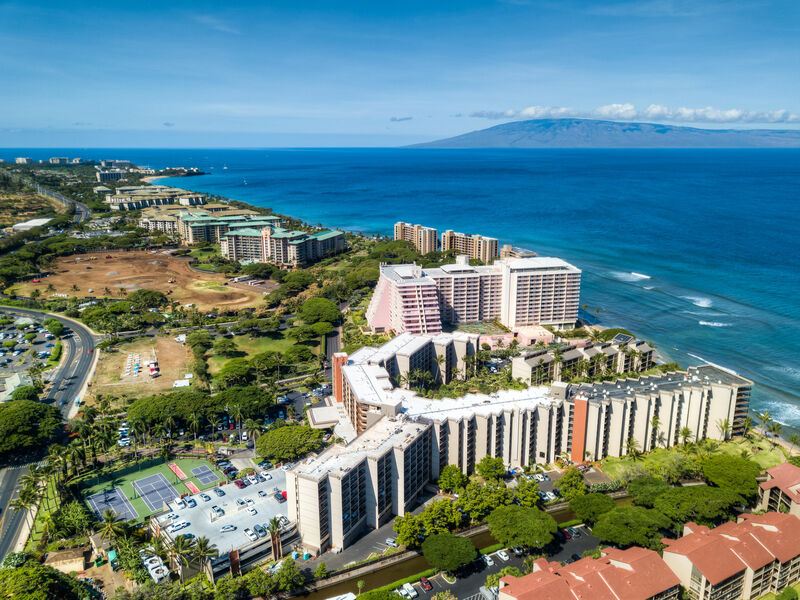 Get all the details about the extensive amenities and rental program from your agent, and arrange a showing today.